The GAP rail-trail is 150 miles of hiking and biking between Cumberland, Md, and Pittsburgh, Pa. created along the former railway line. In Cumberland, the GAP joins the C&O Canal Towpath, creating a continuous 335-mile long trail experience all the way to Washington, DC. It’s become a favorite biking destination for people from around the Mid-Atlantic states. 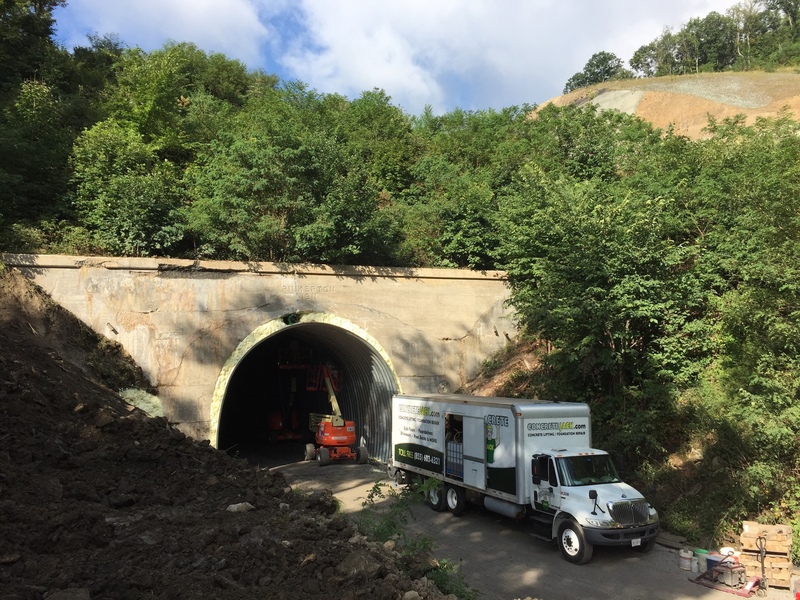 One of its main tunnels, the Pinkerton Tunnel, an 849-foot former Western Maryland Railway tunnel, has been closed since 1975 due to erosion and unstable conditions. The Allegheny Trail Alliance, the organization that built and now maintains the 150- mile GAP, and the Somerset County Rails-to-Trails Association (SCRTA), wanted the tunnel reopened and helped fund the project.